All right- we are down to the last 2 minutes of Shop 4 A Cause!!! Things are heating up!!! We’ve got a few bidding wars going on! Don’t forget to refresh the page!! 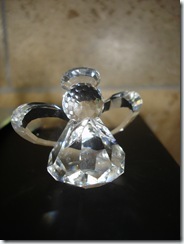 Welcome to Shop 4 A Cause Charity Auction! Yes, today is finally the DAY of the auction!!! My name is Angela from Oh She Glows and I am raising money for cancer!! 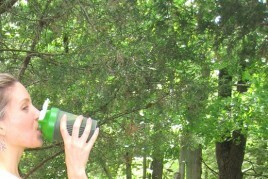 As many of you know, I am running my first race (10KM) on Sunday June 14th 2009 at the Niagara Wine Country Run! I hope you are ready to bid on some fabulous items! All proceeds from this auction will go to the Canadian Cancer Society!! My goal is to raise $2,500 for Cancer!!! With your help I can achieve this goal! NOTE: I will be doing LIVE commentary ALL day on TWITTER! Follow me! I decided to run my first race and raise money for charity when my family lost a dear family friend, Chris, to cancer. Chris was just 26 years old when he passed away. No one should have to lose their life at such a young age. 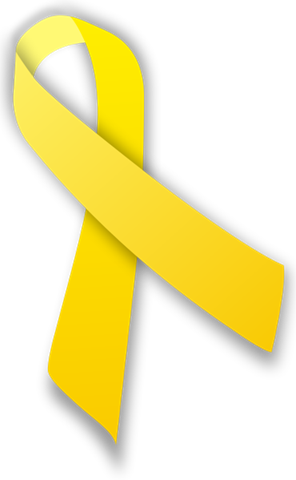 It is my hope that one day we will find a cure for cancer and finally put an end to the thousands of lives that are tragically lost each year. Every dollar that is donated is a step toward finding a cure and I want to help in any way possible! I am running this race in Chris’s honour as well as everyone who has been touched by cancer in some way. I am also battling back from a severe groin injury that put me out of my training for 2 full months this past winter. It has been a somewhat rocky road, but I am even more motivated to run the 10K this weekend! I would like to thank everyone for their support!!! I couldn’t have done this without your generous and thoughtful donations! The charity auction will function as a silent auction meaning that you have to email me ([email protected]) with your bid. I will not accept any comments left below- you must email me your bid! All bids start at $20 Canadian Funds (bonus for the US residents!). This is to ensure that at minimum, the volunteer’s shipment costs are donated. I would hate for someone to spend $25 on shipping only to have the item sell for $10! The auction starts at 8am EST and will go until 10:30pm EST on June 11, 2009. Throughout the day I will be updating each item with the current highest bid. I will do so frequently throughout the day as they come in! Check back often! At 10:30pm EST, I will stop taking bids. I hope to have the full list of winner’s up shortly thereafter! 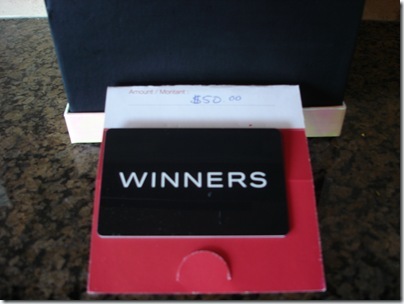 Each winner is asked to donate their winning bid to my donation page. You must make your donation in your name or at minimum your initials or blog name so I know that it is your donation. 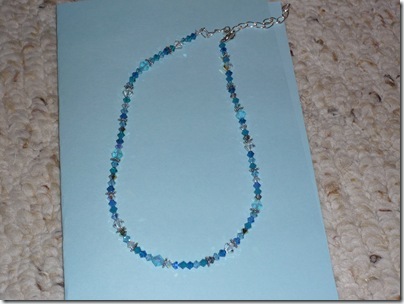 Once that is done, I will provide the winner with the email of the item donor to collect the winner’s mailing address. 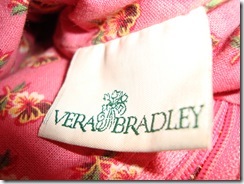 Please do NOT place a bid on an item if you have no desire to follow through with payment! 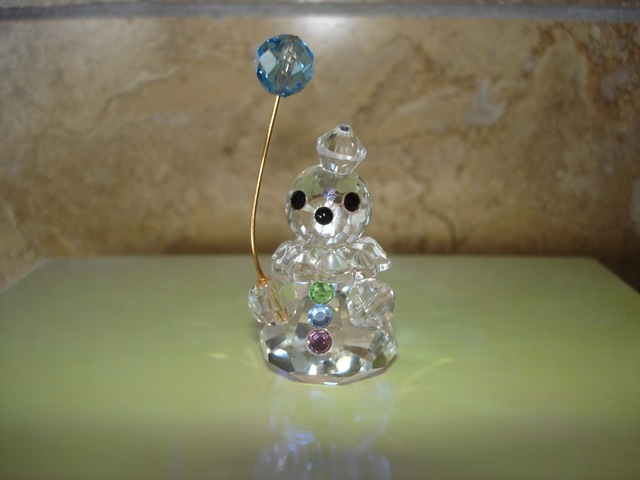 In the event that someone does not donate the winning bid, I will go to the runner up bid and contact that individual. ALL BIDS CAN BE MADE BY VISITING MY ONLINE DONATION PAGE! A HUGE thank you goes out toward the amazing Amy who volunteered to organize and write up many of the descriptions below! 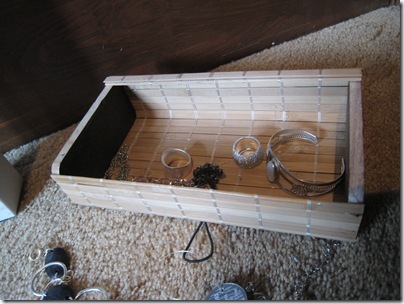 I could not have put all of this together without AMY! 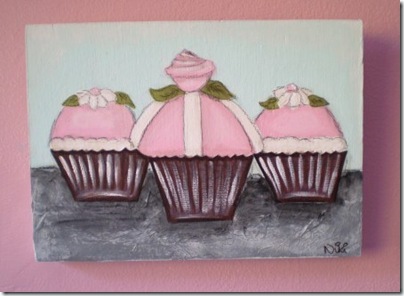 Donated by: Krista from Krista’s Kravings! 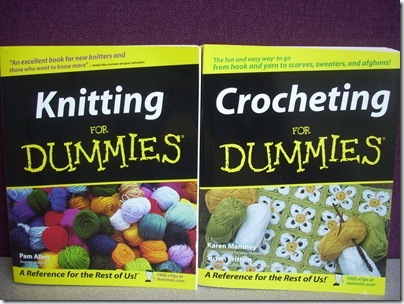 Description: Always wanted to learn how to knit or crochet? 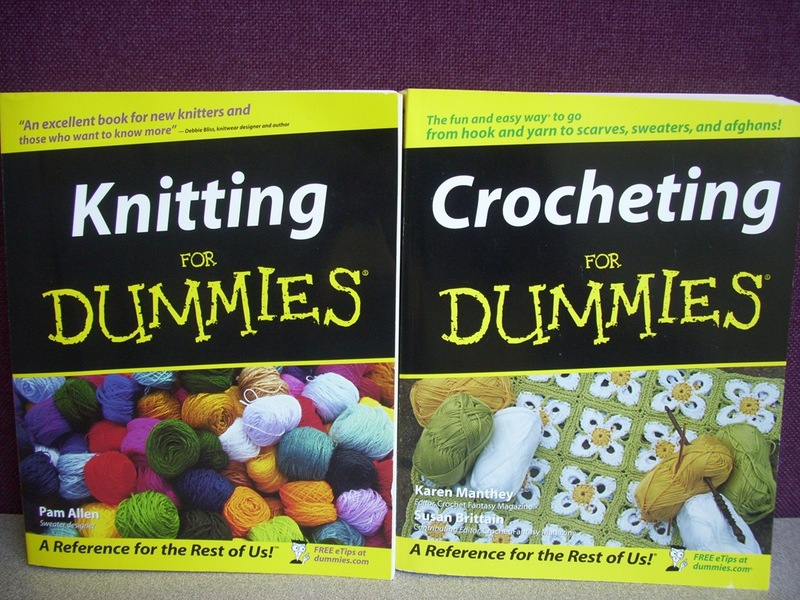 These are the books for you! Never been used, these have very easy step-by-step instructions that will have you well on your way to creating wonderful items! Ships anywhere in the world so get bidding and knitting!! Donated by: Gemma from Australia!! 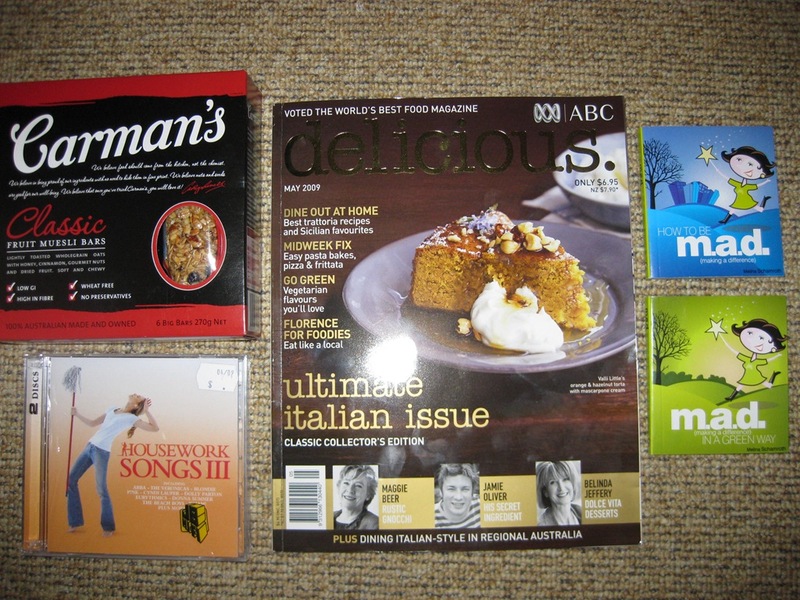 Description: This 100% Australian Made Pack has a wonderful variety of goodies and treasures from the land down under. Have the best of the Outback without leaving your house! 1. 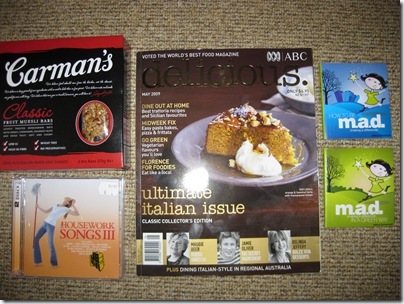 A copy of the latest Delicious – a popular Australian food magazine filled with stunningly easy recipes. 2. 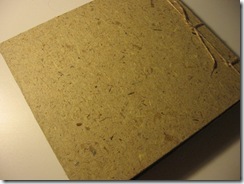 Two pocket sized mini books – how to be m.a.d (making a difference) and m.a.d (making a difference in a green way). These books are filled with dozens of inspiring hints and tips for making a positive difference to your world. 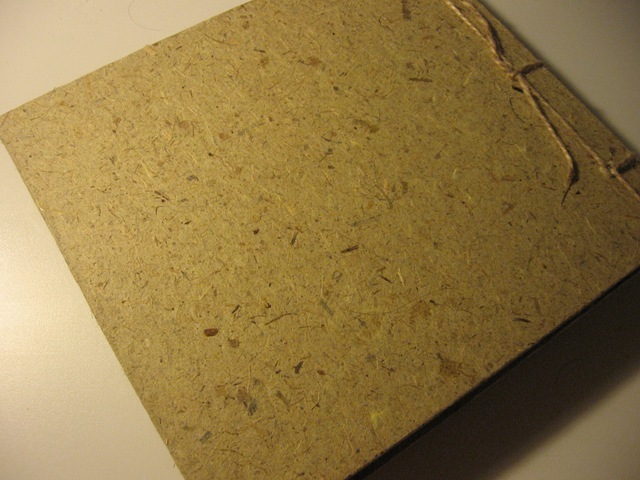 They are printed on recycled paper using soy ink and a waterless process. 3. 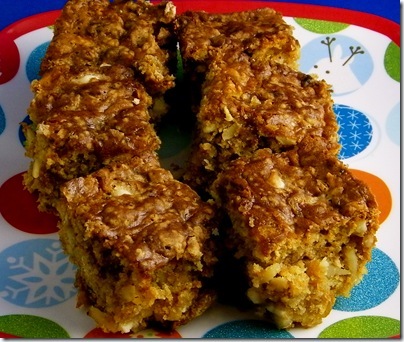 Carmen’s Classic Fruit Muesli Bars – 100% Australian made and owned and tasty to boot! 4. Housework Songs Vol. #3 – this double disk album is an absolute gem! Filled with fun, uplifting songs that are perfect for housework or a workout. Featuring artists such as ABBA, The Veronica’s, Pink, Cyndi Lauper and The Temptations – it will get you pumped for anything! 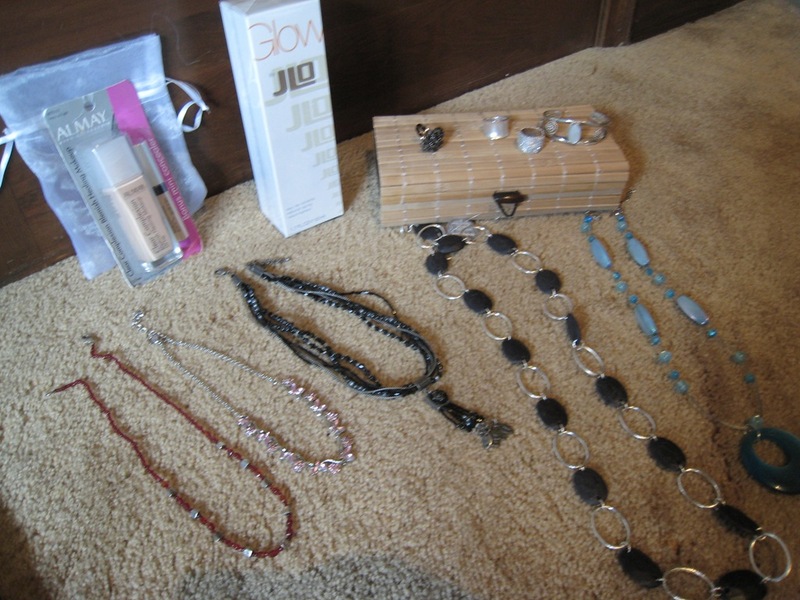 3) Sarah Jessica Parker gift pack! Description: The fashionable star brings her unique sense of style and grace to her popular line of perfume. 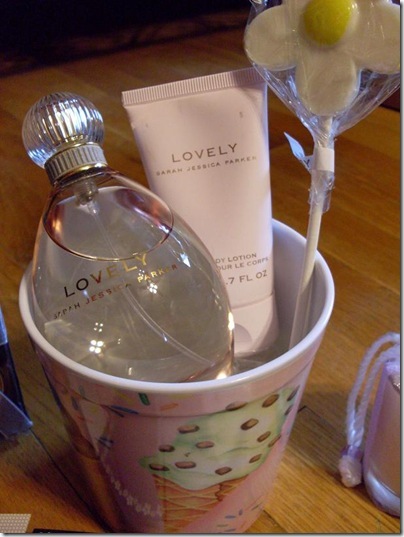 This “lovely” set includes the SJP Lovely perfume bottle, a darling coffee scooper, a small candle, perfume samples, lotion, and a lollipop. Pick up a fresh new scent for the summer! This perfume smells amazing and is a light fragrance for the summer! This would make a wonderful gift for a friend or loved one. Description: These cookies are melt-in-your-mouth good! I recently made them for my boyfriend of 6 years and he ranked them #1 (I’ve baked a lot in the last six years and I know why these are his favorite)! The soft chewy dough is filled with both chocolate and peanut butter chips with a sprinkle of raw sugar on top. 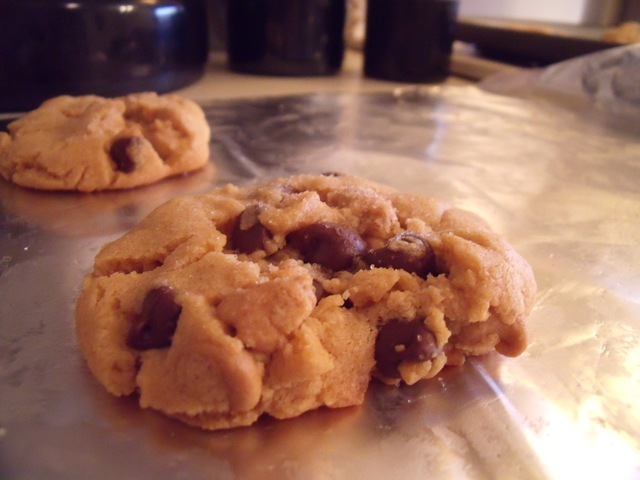 You will receive a dozen of these delicious cookies! 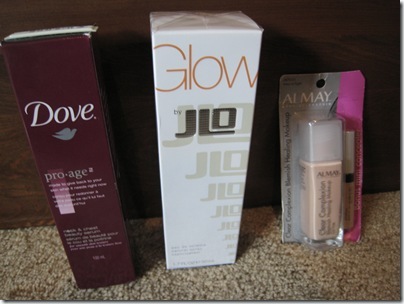 Donated by: Leah from Simply fabulous Now from the UK! 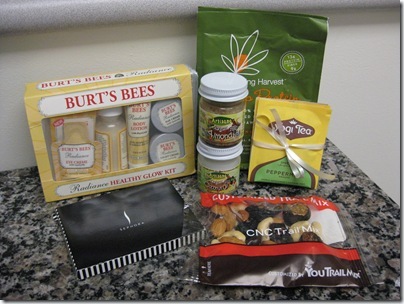 Description: This Bundle of Leah’s favorites includes "Superfoods" by Steven Pratt. Find out which foods you should be eating to get the most benefits from them! What foods will make you feel fabulous? 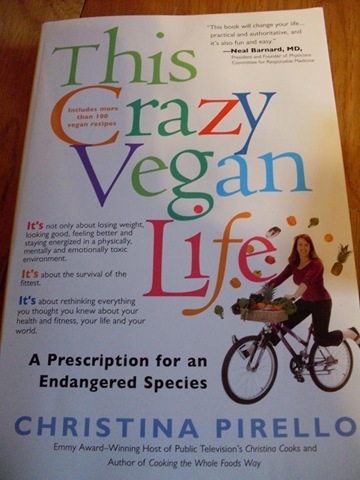 Read this book to find out! 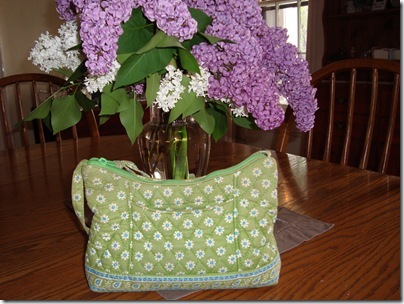 Small green handbag from New Look (a popular store in the UK!). 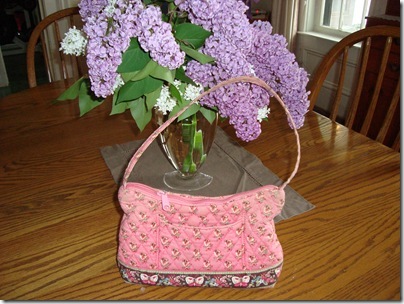 This handbag is cute and compact with mini jewels. 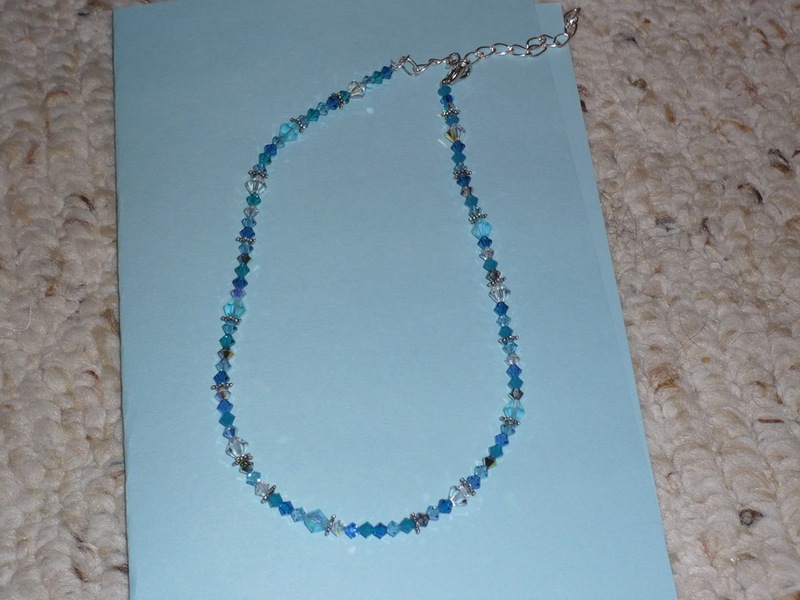 Along with the handbag comes a stylish bracelet made with stones that go well with any outfit! Beauty products: St. Ives Apricot Scrub & Dove hand lotion. Two of my favorites! 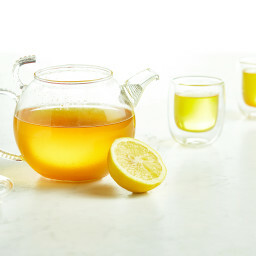 Tea: 5 of my favorite tea flavors. One for everyday of the Mon- Fri work week! Bally Total Fitness resistance band – GREAT for toning & trimming. Whole food bars: 2 "Nak’d" bars straight from the UK! 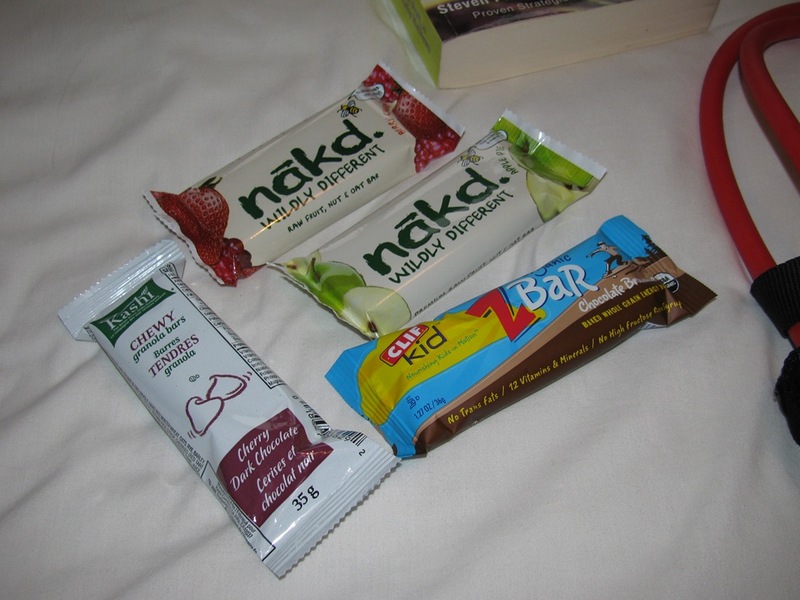 1 Clif Z-Bar (chocolate brownie flavour), 1 Kashi bar (Cherry Dark Chocolate). These bars are DELICIOUS and are also Angela’s Favourite bars!! Description: Behind every great woman is a fantastic handbag! 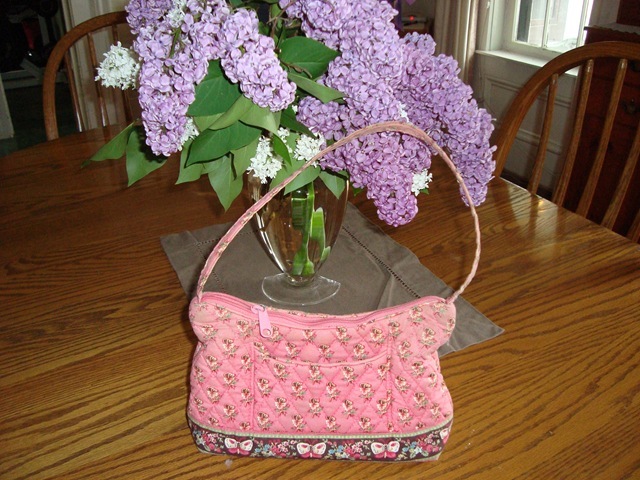 Bid on this gorgeous purse and make a great fashion statement this summer. The quality and style of a coach purse makes it a classic choice for girls on the go. 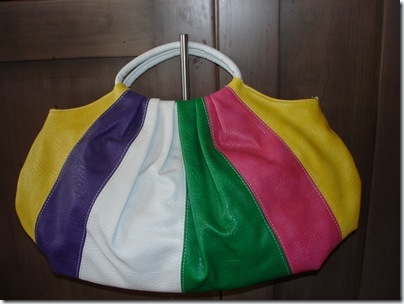 This fabulous bag will not last long, so bid now! 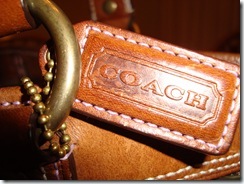 Mary purchased this Coach purse after winning big in Vegas, now she wants to donate it for a good cause! 7) Leather purse from Turkey- never used! Description: Always wanted to go to Turkey and experience their amazing leather goods> Well, now you can! This Multi coloured Leather Handbag was purchased in Kusadasi, Turkey. 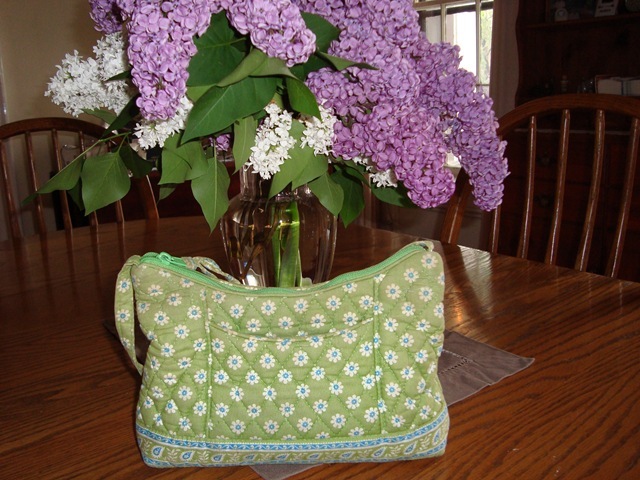 Be stylish this summer, lots of room inside, cell phone pocket, has never been used. 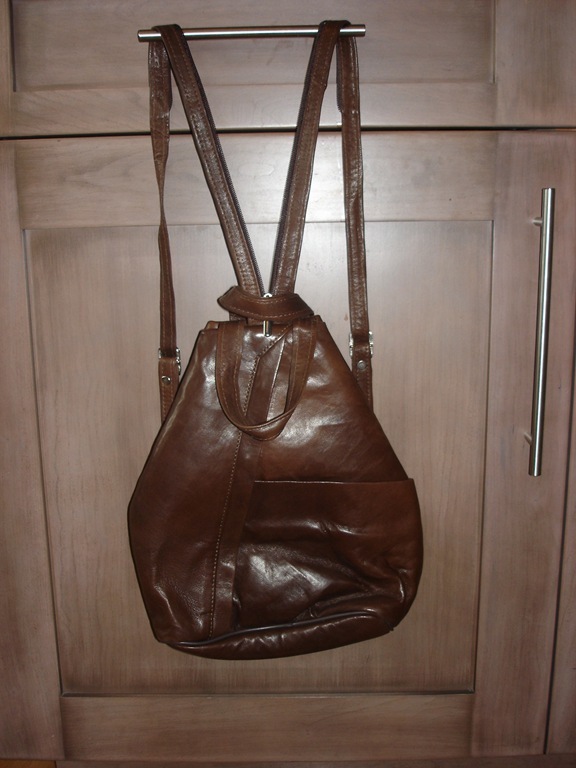 8) Leather Fossil purse- like new! Description: Blue Leather Fossil Shoulder Handbag with back pocket and cell phone pocket inside– just like new! 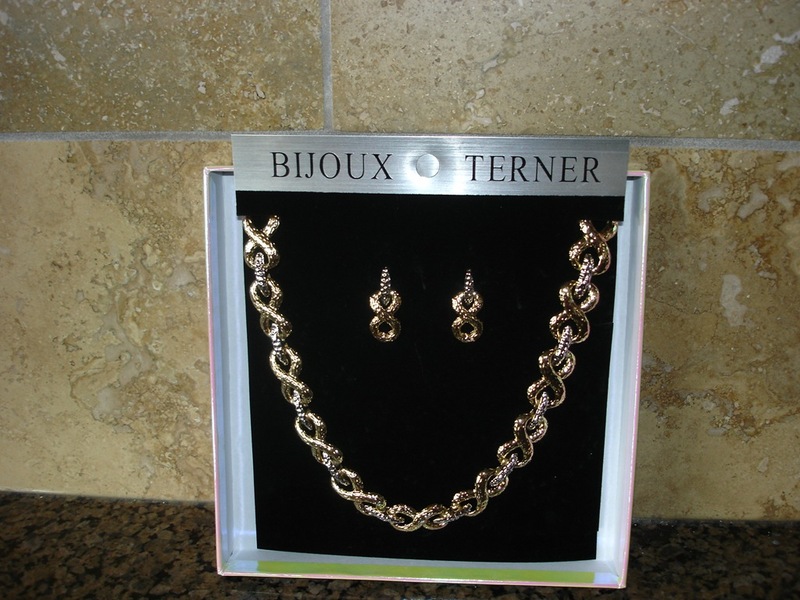 9) Bijoux Terner Earrings and Necklace in Gold, never been worn. 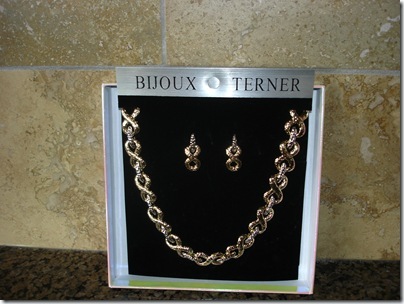 Description: Bijoux Terner Earrings and Necklace in Gold, never been worn. Would make a beautiful gift! 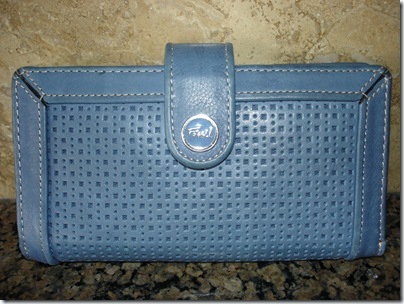 Description: Blue Leather Fossil Wallet – Only been used a couple of times. 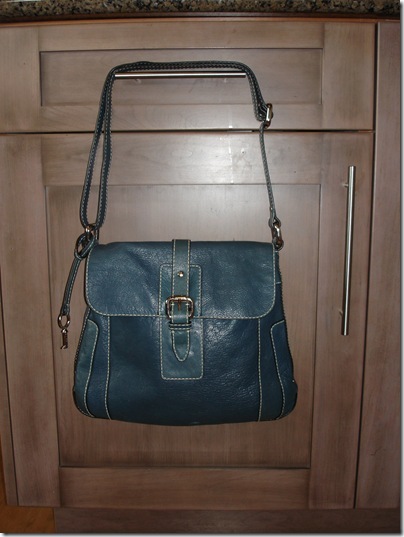 Matches the blue leather Fossil handbag. 12) Royal Albert Bone China tea cup and saucer in White Dogwood pattern. Description: Have tea with with the Queen! 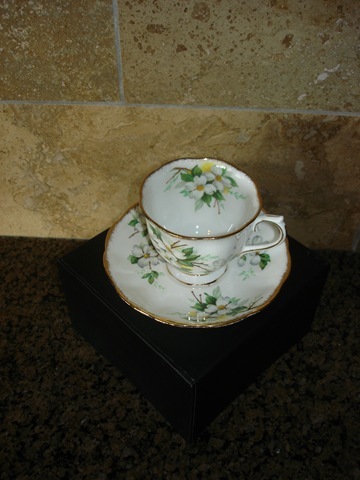 Royal Albert Bone China tea cup and saucer in White Dogwood pattern. Mint condition. Enjoy your favourite cup of tea, English style! Description: Brown leather backpack with lots of pockets purchased in Kusadasi, Turkey and has never been used. 15) Indoor Gardening Set with rake, shovel and spitzer bottle. 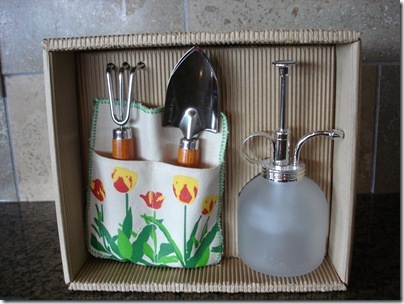 Description: Indoor Gardening Set with rake, shovel and spitzer bottle. Has never been used. Start your indoor herb garden today! 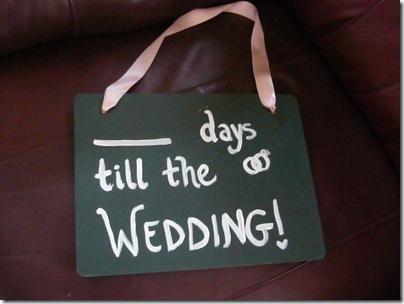 Description: Countdown the days till the wedding on this handy chalkboard that you can hang anywhere in your house! 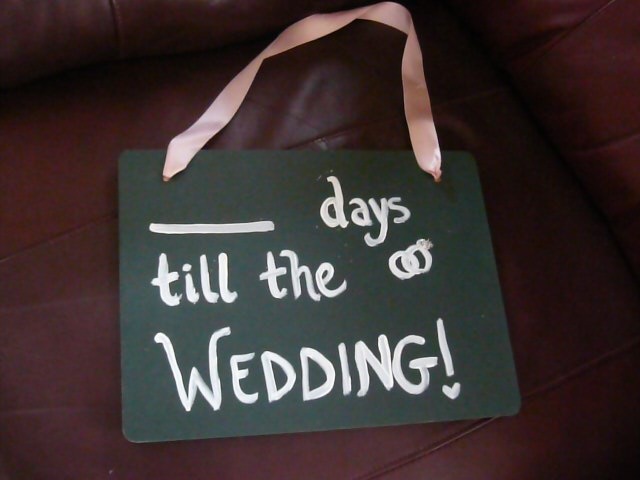 It makes a great gift for a bride to be! Description: Glo Cakes’ is a whimsical painting depicting Angela’s lovely healthy cakes as featured on her blog. Painted by mixed media painter Niki Jackson on birch plywood. 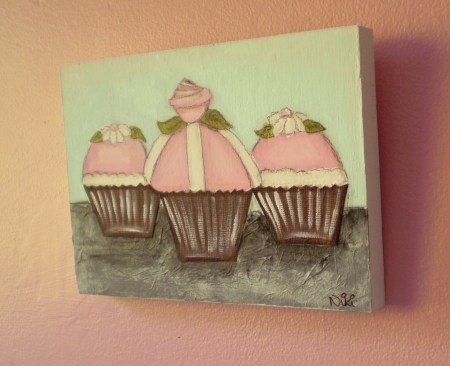 The painting measures 7" x 5" and comes ready to hang. 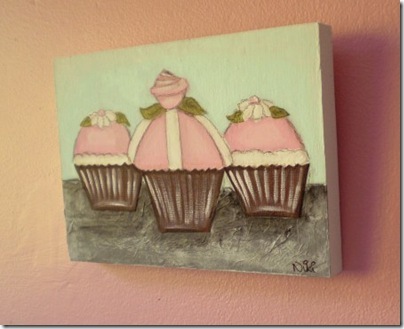 You can see ‘Glo cakes’ being painted here from start to finish in this You Tube video. 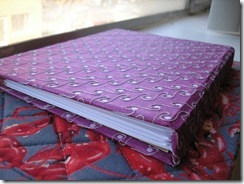 Description: Why buy a generic journal from the store when you could have one made specifically for you? 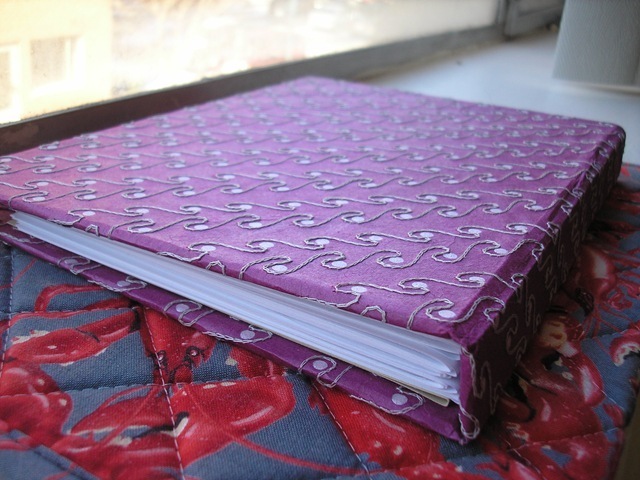 Rose from On a Lobster Placemat is a bookmaker specializing in both stab-binding and signature stitch style journals (see below for examples) and is offering to handmade journal or photo album specifically for you. 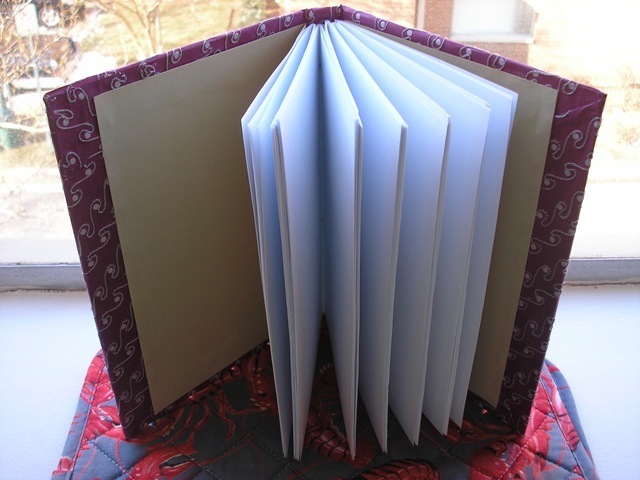 You pick the form (album or journal), the binding (stab or signature) and color/s, and she will make a book that best fits your personality and style. The more you tell her, the more she can do with the book – so don’t be shy about telling her what you really want! 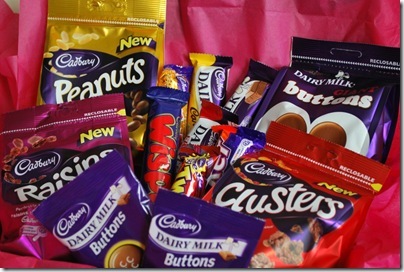 Description: This is a full selection of authentic Cadbury’s chocolate, sent straight from England in a city with a Cadbury’s chocolate factory, so you know they’re fresh! 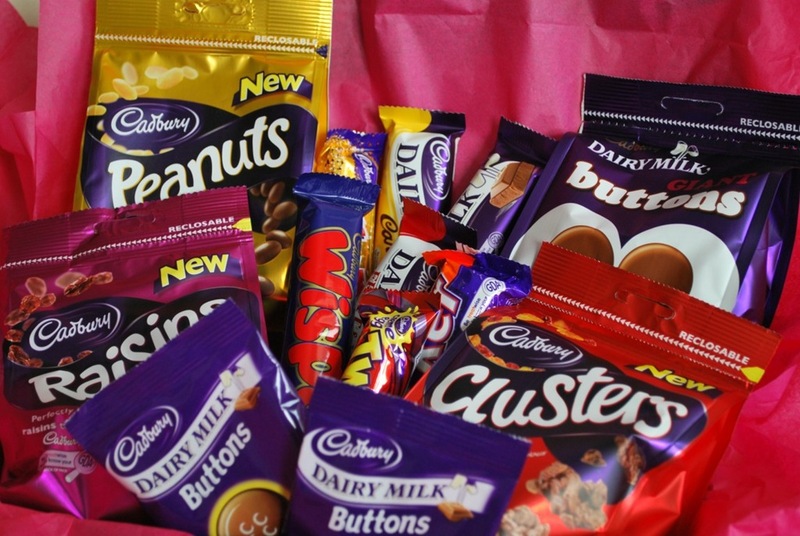 You may have tried Cadbury’s famous eggs, but what about a delightful Crunchy bar? 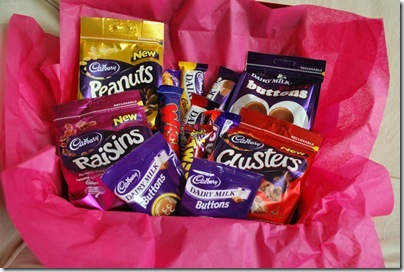 Or Cadbury chocolate buttons? 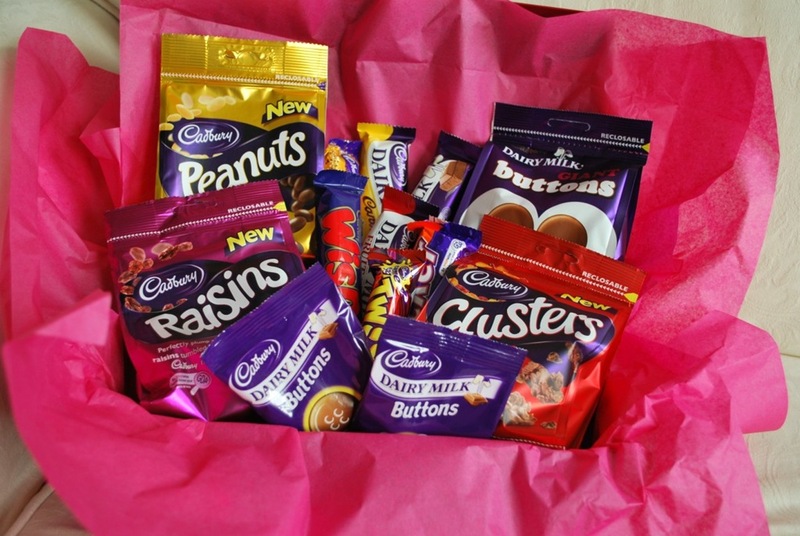 With an entire collection, even the healthiest eater can enjoy some Cadbury’s and savour every bite in this stuffed box!” Box contains 12 different types of Cadbury candy. Description: Have some favorite recipes that perhaps aren’t the most healthy and want help in making them fit your lifestyle? Have trouble figuring out fresh and delicious food options to make night after night? Amy of Delicious by Nature wants to come up with personalized recipes just for you for either a day of meals or a week of dinners. An experienced cook and Natural Foods Chef in training, she will work directly with you to understand what foods you love, any restrictions you might have, and your cooking style to come up with 5-7 go-to recipes that will help keep you happy and healthy! 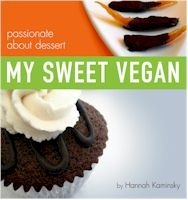 The winner will receive a PDF book of their recipes and access to ask Amy any cooking questions that he or she might have. 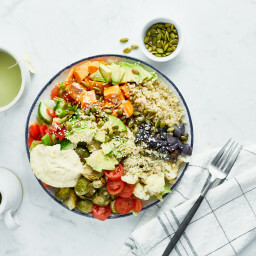 Amy is willing to work with all types of diets – vegan, vegetarian, gluten-free, dairy-free – and even come up with easy recipes for those of you who may not have the time or inclination to spend hours in the kitchen. 23) NO GYM, NO PROBLEM Workout DVD Pack! Description: This collection of workout DVD’s is a fantastic addition to your home workout collection. With a wide variety of strength, cardio, yoga, and pilates workouts, you may never have to go to a gym again! Bid on this collection for a truly diverse selection of total body workouts and get your bikini body while helping support a great cause. + a cute carrying case! 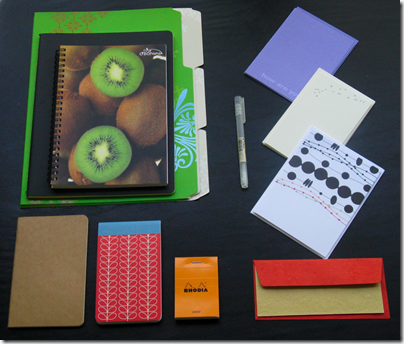 Description: Instantly organize your life with these stylized products courtesy of self described “paper addict” Sarah. For school, work, or just for fun, this collection will put your life in order with both eco friendly & trendy products. 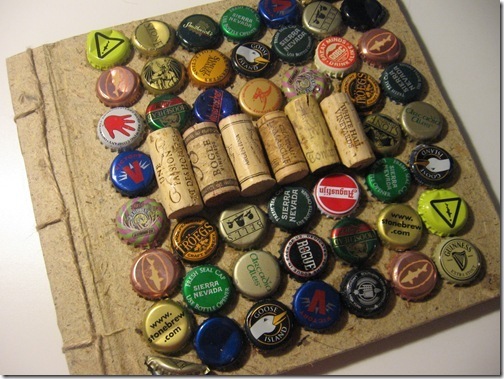 Bid today and get organized tomorrow! 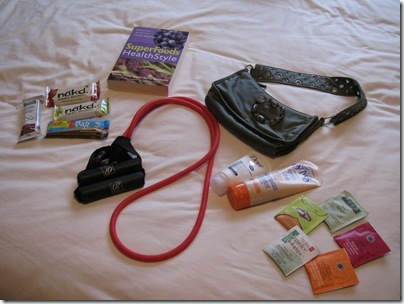 Description: Hate organizing and packing healthy goodies and travel friendly beauty items? 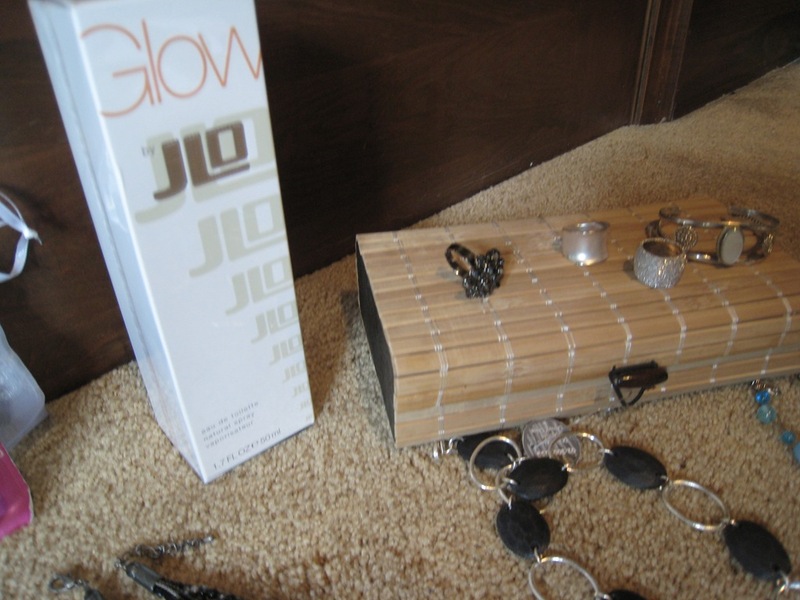 This gift pack contains all of the fun stuff you will need to get your glow on the go! Perfect for your upcoming summer vacations, bid today and save yourself the hassle of packing! 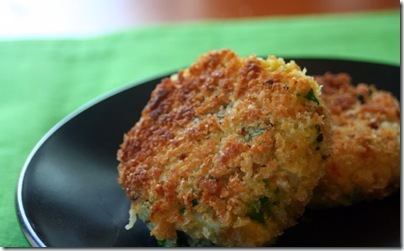 Description: Healthy, hearty, and made with love! 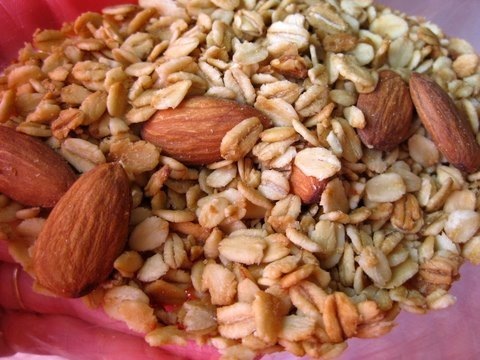 The kind hearted Polly makes this scrumptious granola using simple, healthy ingredients that make your tummy happy and satisfied. 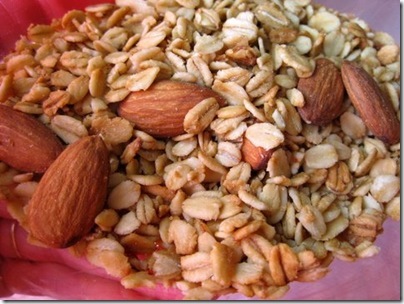 A great addition to oatmeal, yogurt, or just eaten by the handful, bid today and your tummy will thank you! 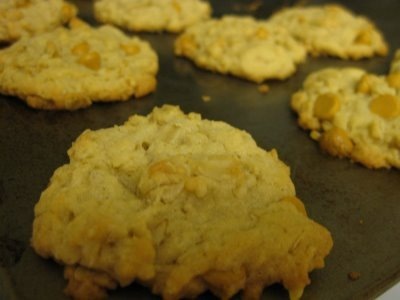 Description: Kara clams these cookies are the BEST she have ever baked. Every taste tester went back for more! The combination of oatmeal and butterscotch is heavenly. 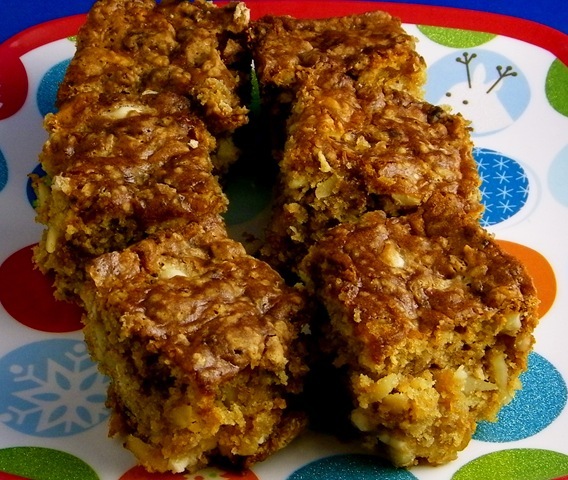 Warmed up, eaten cold, made into an ice cream sandwich, or crumbled on some oatmeal, you will have one happy tummy! Note: Batch contains about 30 cookies. Contains eggs. Nuts added upon request. Description: Heather knows her nut butter, and these cookies do not disappoint! Made with love, these cookies are vegan, wheat-free, and sweetened with maple syrup. 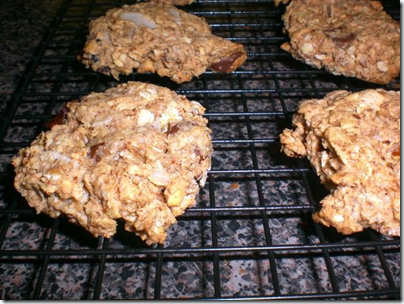 A healthy cookie to please any palette and thrill those with dairy or wheat allergies. The highest bidder can choose between carob, chocolate chip or raisin “oaties.” Satisfy your sweet tooth and bid on these yummy treats! 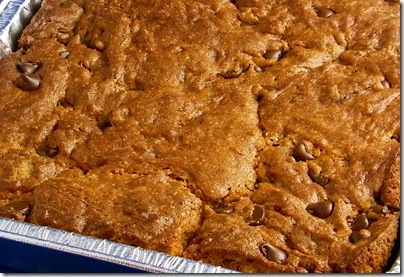 Description: One of the most popular and drooled over treats in the blogger world, Veggiegirl is offering up a customizable batch of her famous Blondies! 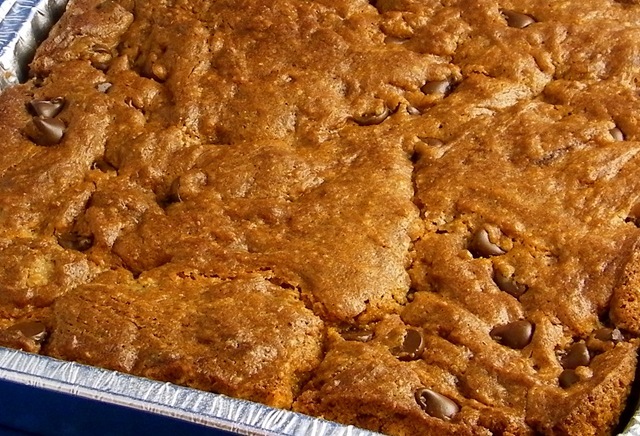 They might be vegan blondies, but they’re DARN tasty and better than the "original." Choose your custom flavor combination and get ready to take your taste buds for a wild ride! 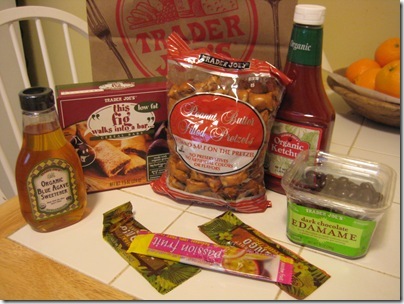 Description: Some unfortunate people don’t live near a Trader Joe’s and are curious about their products. Heather is generously offering to give away a Trader Joe’s Fun Pack Trader Joe’s items! (1) Organic Ketchup – High Fructose Corn Syrup Free!!!! (2) Organic Blue Agave Sweetener – Lower on the Glycmic Index than other Sweetners! 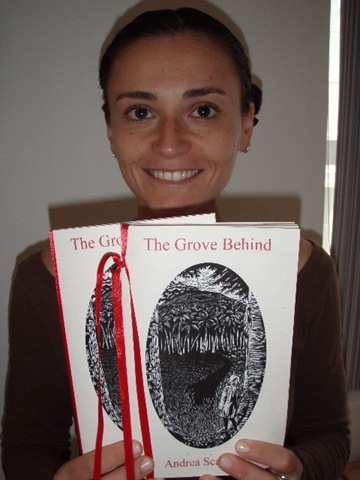 Description: Two priceless signed copies of the limited edition poetry collection, "The Grove Behind" written by Andrea Scarpino and released in 2009 by Finishing Line Press. Scarpino is published in both print and online journals, and is the weekly West Coast Correspondent for the blog, Planet of the Blind. An amazon review says, “Andrea Scarpino’s poems are spare, but they are not small. With great precision, she reveals a world that is damaged but never destroyed by atrocity.” This collection would make an amazing and thoughtful gift or a magnificent addition to your library and poetry collection. 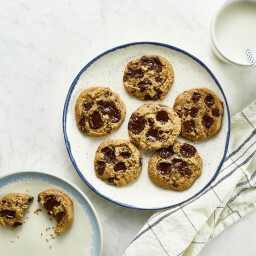 32) Jenna bakes ‘Super Charge Me Cookies’!! Description: Up for bid is a batch of delicious and mouth-watering Super Charge Me cookies baked by the hand of the professional pastry chef herself. These cookies are vegan and contain nut butter, spelt flour, maple syrup, coconut, dried cranberries, dark chocolate, ground flax and canola oil. They are tasty and healthy! The highest bidder will receive one batch (roughly 15) of the home made cookies. 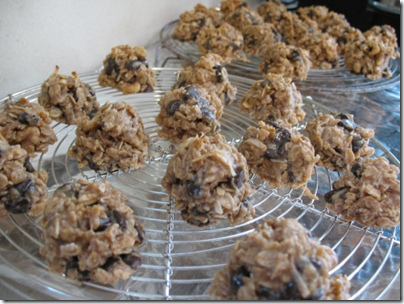 See what everyone has been raving about and bid on these fabulous cookies!! 33) Oh She Glow’s Fit Gear Gift Pack! Oh She Glows black track pants in size small- brand new! Show your support for OSG in style! These have never been worn! Black Le Chateau cowl neck sweater in size small- used but great condition! Black ‘like leather’ belt, very stylish! 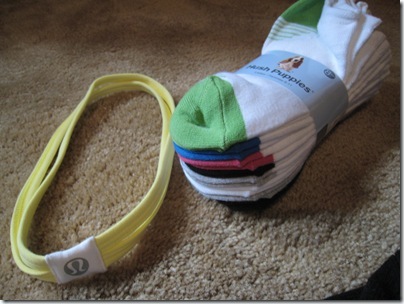 Lululemon Canary yellow headband– perfect for keeping your hair off your face! Hush Puppies low rise gym socks– 8 new pairs! 34) Oh She Glows ‘Girly Girl’ beauty gift pack! 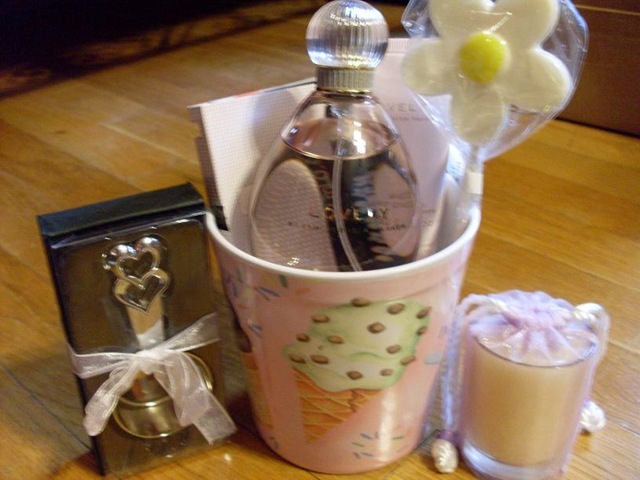 For all those girly girl’s out there- you will LOVE this gift pack!!!! 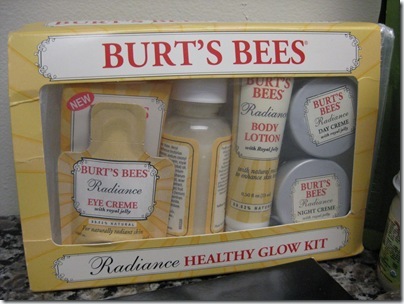 So much great stuff included in one package! Click pics to enlarge! 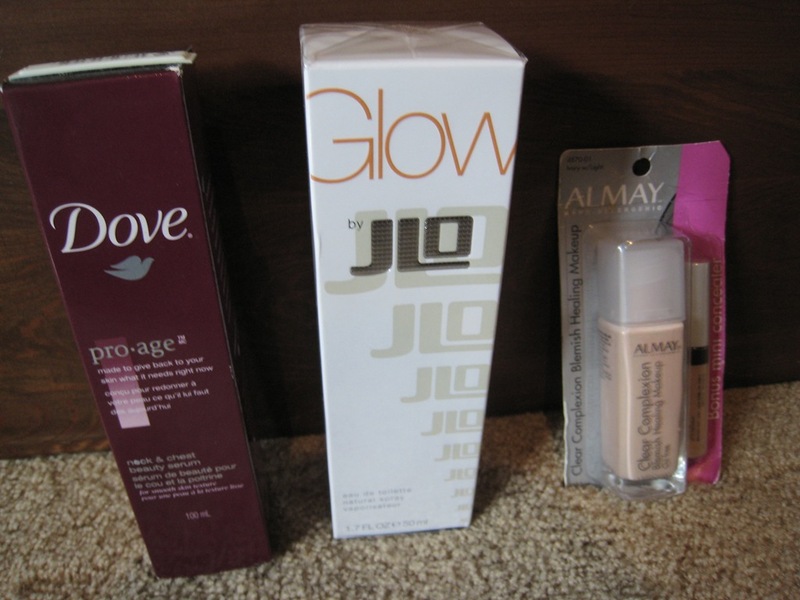 Never opened Almay Clear Complexion Blemish Healing Make up with bonus concealer. Oil free. Make-up in Ivory with light concealer. 35) TWO One on One E-Counseling Sessions with Angela from Oh She Glows! Open to: Anyone with an internet connection! Description: Are you stuck in a fitness or health rut? Do you want to get in shape but don’t know where to start? 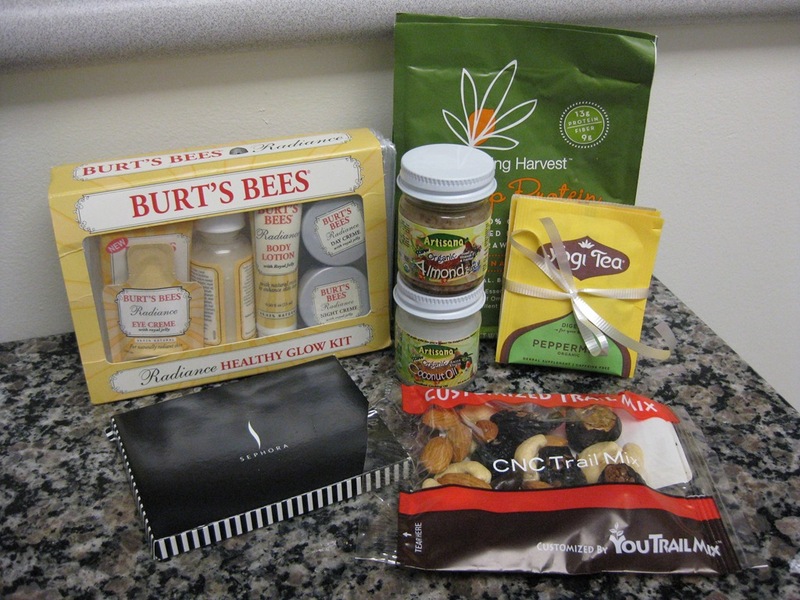 Do you need some personalized advice on healthy food options? Do you need a way of coming up with short and long term goals that are a custom fit for you? Angela is offering two one on one e-counseling sessions where you will be able to either email Angela with your most pressing health and fitness concerns or ‘chat’ in a virtual chatroom! 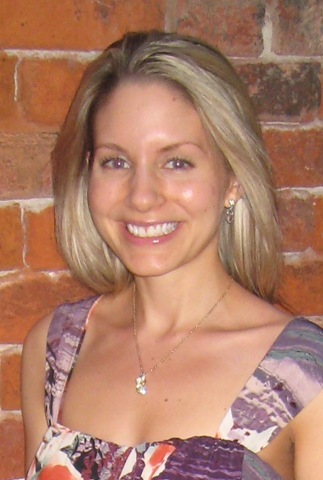 Angela has 7 years of training in psychology, including an undergraduate degree and a Master’s degree in social psychology. 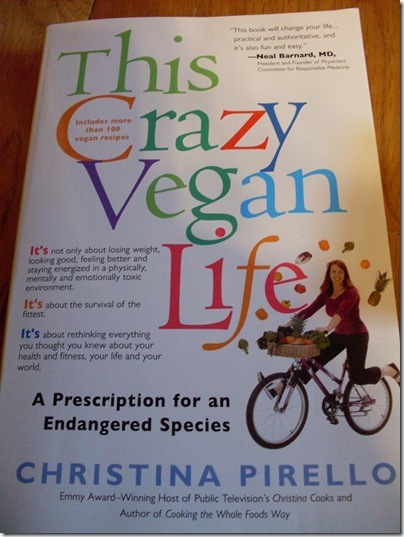 She has also taken several health and nutrition courses throughout her education. Angela is currently training to become a certified Health and Wellness Specialist. You will be bidding on 2 e-counseling sessions where Angela will address all your health, nutrition, and fitness concerns and offer her own personal experience and knowledge. In the second session, Angela will ‘follow up’ and track how you are doing and whether you are staying on target with your goals! What could be more motivating than that!? Each session is 1 hour in length. 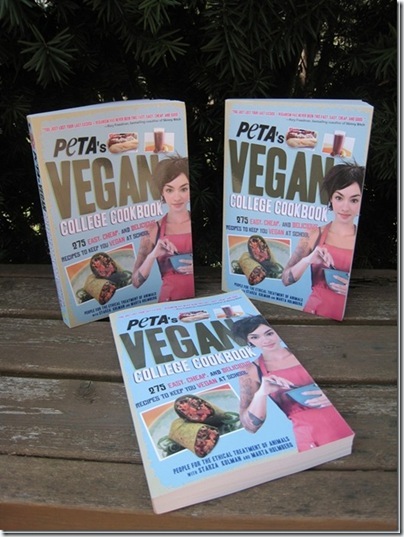 Description: Are you a college student who leads a vegetarian or vegan lifestyle? Then this book is for you! 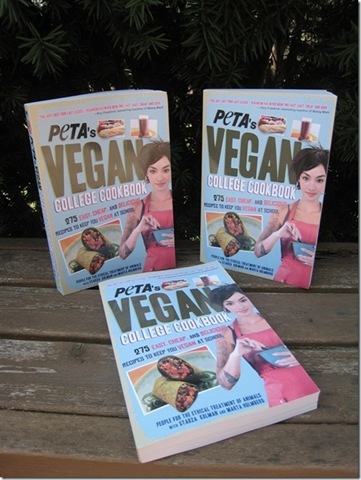 It is brand new and filled with tons o quick and easy vegan recipes that you can make in the comfort of your own dorm room! No oven required. 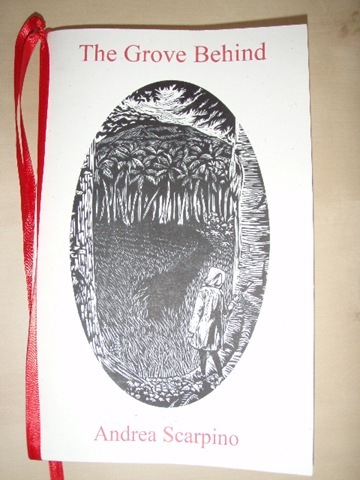 Note: You are bidding on ONE copy (not three as shown above). Who doesn’t need gas?? You are buying it anyways, so why not do it by donating to an awesome cause!!?? 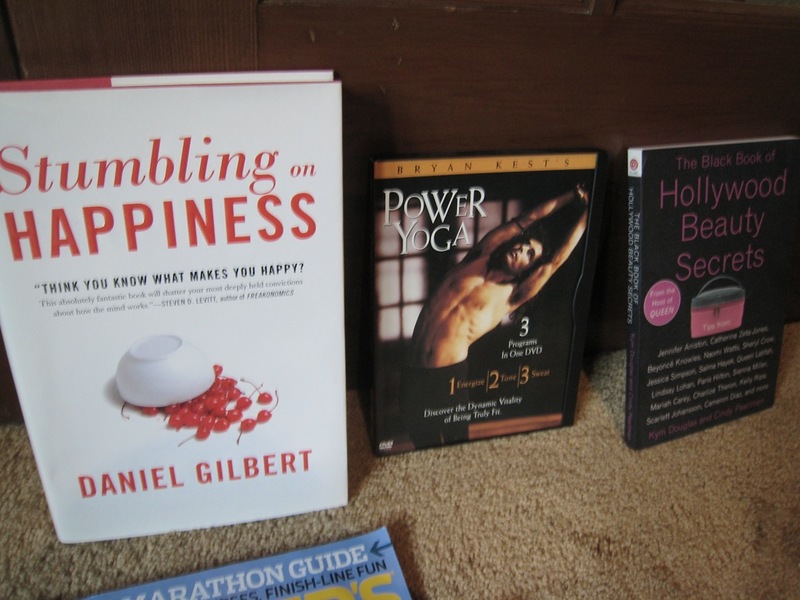 38) Oh She Glows Book Worm health + Beauty reading Pack and Power Yoga DVD! 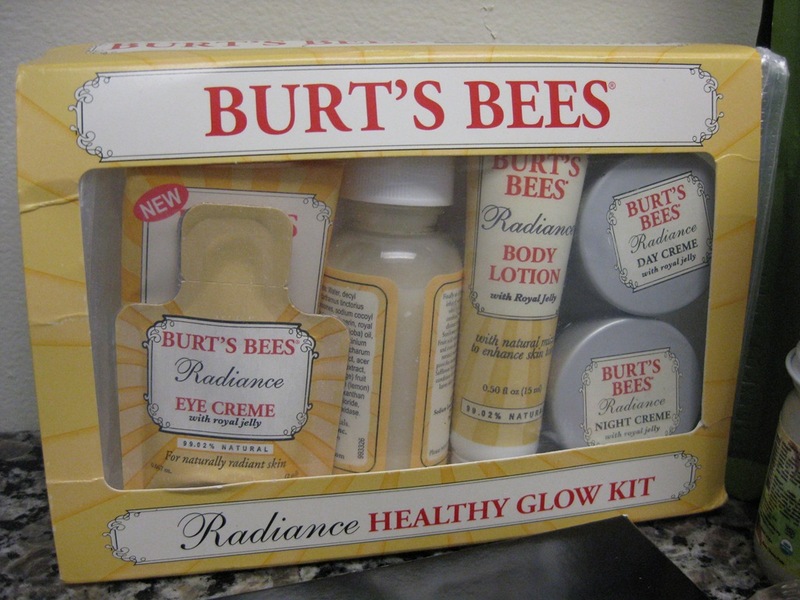 This beauty + healthy book & DVD pack will have you glowing from ear to ear in no time! 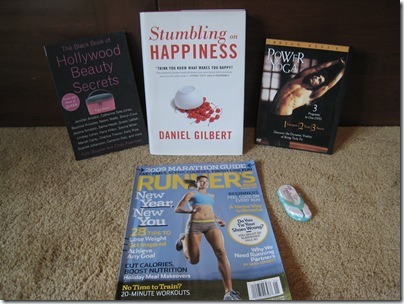 A little something for every health and beauty fanatic- yoga, running, celebrity beauty secrets, and how to get happy!!! Some of my favourite things right here! 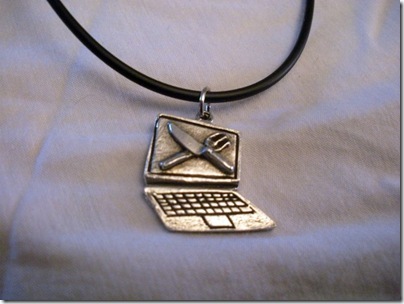 Description: These charms are designed by Mara of What’s for Dinner, and crafted by her father. 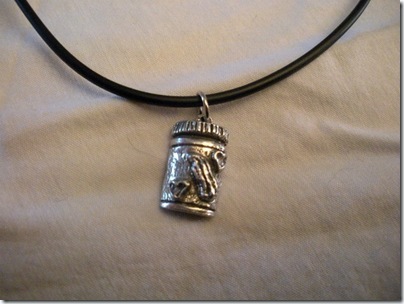 They are vegan-friendly and available as a necklace or cell phone charm/zipper pull. 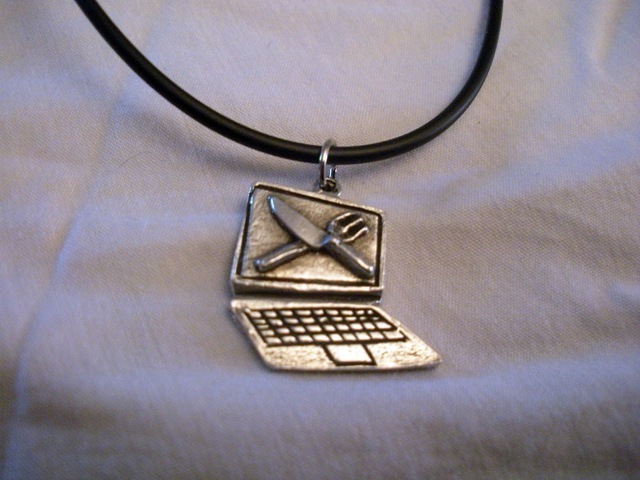 Made of non-reactive pewter, these charms are sure to compliment any food blogger or food lover’s wardrobe! Description: Behind every great woman is a fantastic handbag! 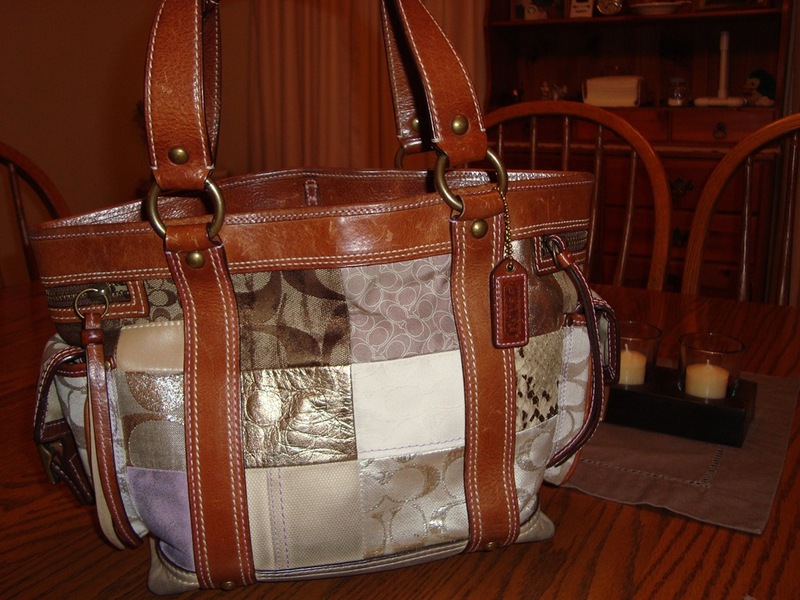 Bid on this designer gorgeous purse and make a great fashion statement this summer. 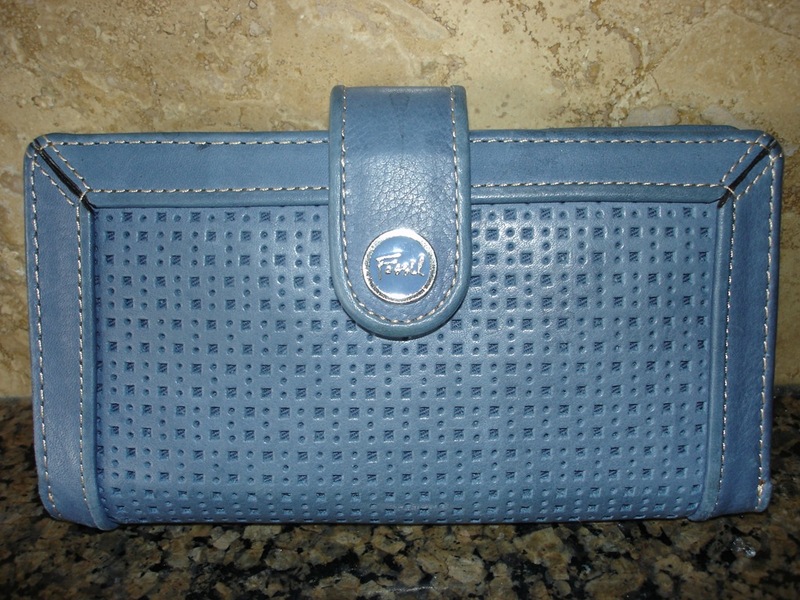 The quality and style of a this purse makes it a classic choice for girls on the go. 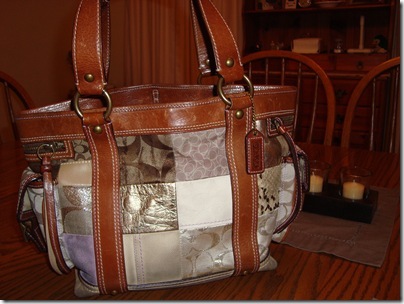 This fabulous bag will not last long, so bid now! Description: My Sweet Vegan is a wonderful full color cookbook that covers virtually every craving. I like to call it the ultimate sweet tooth solution. You will be amazed and delighted by the diverse range of recipes, including Brilliant Berry Parfaits for a cool summer treat, Butterscotch Blondies to brighten lunchboxes, and the author’s award winning Mocha Devastation Cake for the sophisticated palate. 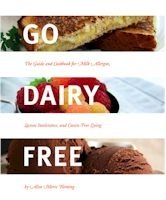 Description: Go Dairy Free: The Guide and Cookbook is a complete resource for living dairy-free. 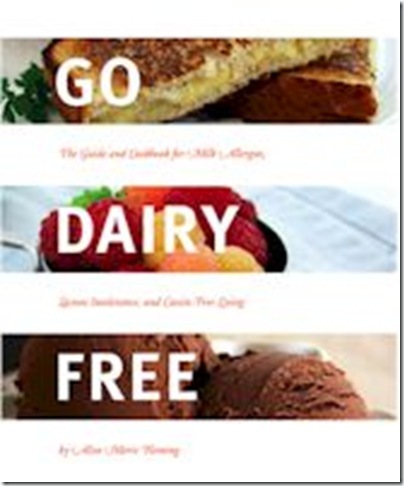 It contains over 225 delicious dairy-free recipes, a very (very) comprehensive guide to dairy substitutes, thorough grocery shopping information, a detailed calcium chapter, an in-depth health section (addressing milk allergies, lactose intolerance, general health and disease prevention, galactosemia, and several other conditions), everyday living tips, infant milk allergy checklists, and multiple food allergy and vegan-friendly resources. You are bidding on BOTH of these wonderful books! 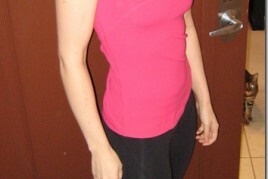 45) ATTENTION RUNNERS: 3 months of personal training! Description: Do you want to get shipped into shape this summer and increase your running performance?? Are you new to running and don’t know how to start training? Have you been in the running scene for awhile and are looking to set a new PR? 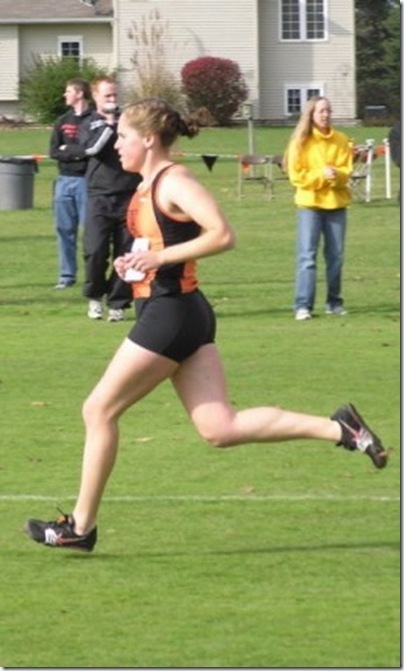 I have been a competitive runner for 11 years and want to help coach you to your best! I am finishing up my collegiate career and will be attempting to enter the semi-elite running scene. While I have no formal coaching experience yet, I will be taking on an assistant coaching position in the fall. I am offering 3 months of personal coaching through phone and/or email. I will assess you current running abilities and create a training program for you for an upcoming race. I will provide weekly check-ins to see how you are doing, along with tidbits of inspiration. You don’t want to miss out on this opportunity! We all love curry right! But what are we worried about, the SPICINESS. When some one new to Indian cooking wants to try it at home, the most they are worried about is the complexity. No worries use this mild curry paste and you will have delicious curries in no time. Plus you don’t have to worry about the mystery spices anymore! Cook up some Tandoori with just a few ingredients that you will have in your kitchen and then add this paste. You completely eliminate the spice part and you can get some Chicken Tikka or tandoori cooking up on your very own grill. 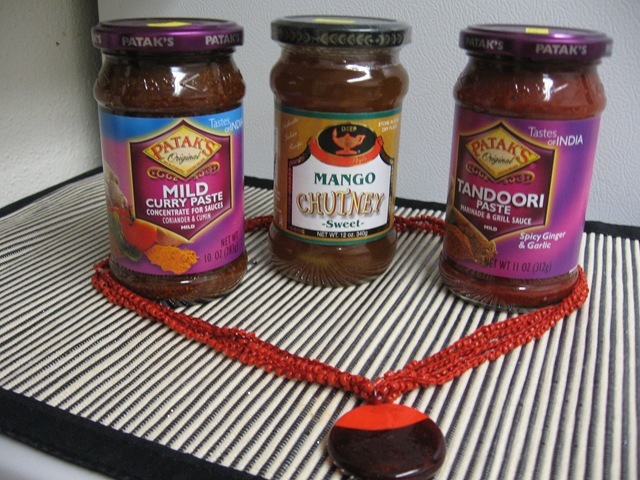 Also in the pack you will find a sweet mango chutney, a wonderful condiment that can be used in so many ways! 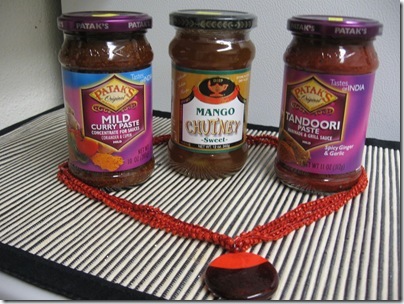 Spread it on a wrap/pita/bun and jazz up your lunch with the exotic taste of mango and spices!! 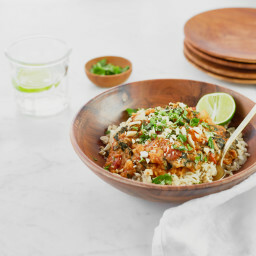 All the products are a great way to take the plunge and make some Indian food right in your own kitchen. Since many of you out there do not have access to Indian grocery stores or have a hard time deciding the spices, these ready pastes are a wonderful and simple addition to your pantry. With this I’ll be sending a few simple and easy recipes to use these pastes. So you don’t have to worry and think about what you do with them?! In the pack you will also find an unused Red beaded necklace! And last but certainly not least!!! Open to: Anyone in the US! Description: A perfectly indulgent breakfast treat or delicious, sweet dessert, these Vegan Chocolate Chip Coffee Cake squares are a crowd-pleaser! 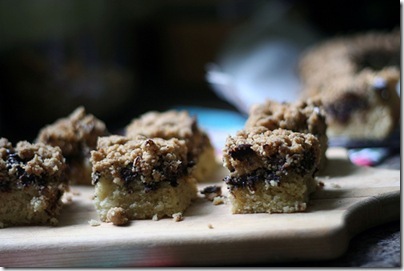 A thick layer of chocolate is sandwiched between a soft, tender layer of vanilla cake and crumbly, cinnamon topping. 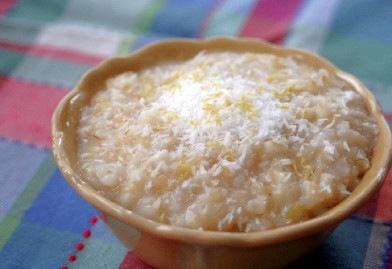 Sinking your teeth into one of these vegan delights is the perfect morning pick-me-up! Check back frequently during the day for updates on current bids! My donation page accepts Visa or Mastercard only. Please contact me if this is a problem. Running Room will be issuing a donation receipt to everyone who donates to my donation page online and provides a valid email address. Please, please, please check the bids (refresh the page) before you place your bid! Note: Current bids have moved to the TOP of this page! Good luck with the auction today, Ang!!! Thanks ladies!!! Bids are coming in, this is more exciting than being a contestant on Price is Right! Hey, I put a link on my blog, good luck!! 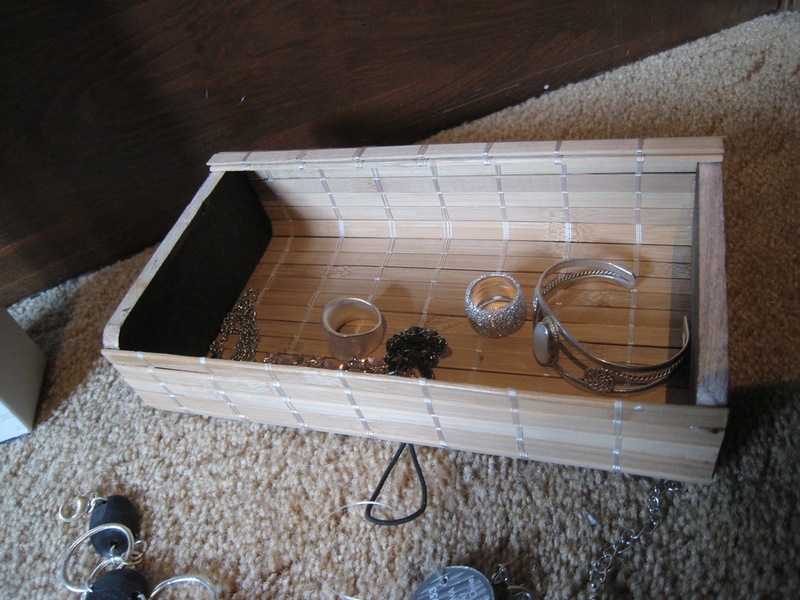 i linked on my blog today, too :) looks like things are already going great!! Thank you to everyone for all your generous bids- keep em coming!!! FYI Angela this post never come through to my google reader because it appeard to be an old post you are updating. It looks like it’s going great so far!! I wish people put the nutrition info on the bake goods! I hope you post the final before 11pm so I can see the progress before bed, hehe. Can I ask who you are studying your Health and & Wellness course with? With due respect I am submitting few lines for your kind consideration. I have come to know through reliable sources and internet that you are devoting services for the well being of humanity. Incidentally I am submitting that I have a large poor family. Therefore there is no financial support for me. Please help me financially. It will not be a great relief to a poor family but will also be a great act of charity on your honor part. I am waiting for your favorable reply. I belong to a very poor family with all of the children under studying. All of my children are getting education some of them are in the college and one of them in the university. Kindly help me as it can only change the life of one lady but also the life of one complete nation. 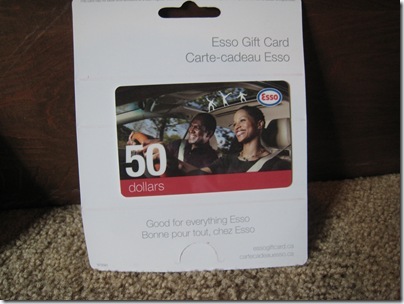 Next post: Quick Note About Shop 4 A Cause!